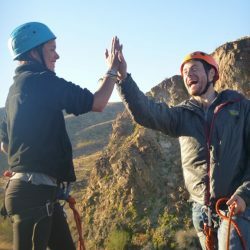 Outward Bound Instructors are students, too. Not just in a ‘good teachers are also always learning from their students’ kind of way. We actively place ourselves in a learning role where we can be students. It’s not always easy. But, it is always rewarding. That’s why we encourage students to push themselves. We’ve been there, and we keep going back because we know what there is to gain. We know what is possible when we place ourselves in a learning role. In December, 11 of my fellow co-Instructors and I met in Ecuador with four trainers to begin a glacier training. Over the next 10 days, we would study glacier travel, learn what it means to be on an expedition in Ecuador and remember what it’s like to be students. We started our expedition at Nahual, an outdoor adventure and sustainability school and farm based in the outskirts of Quito, Ecuador. It showed us why the Rockies to Ecuador Semester Expedition culminates in Ecuador. It is the people. It is the community. 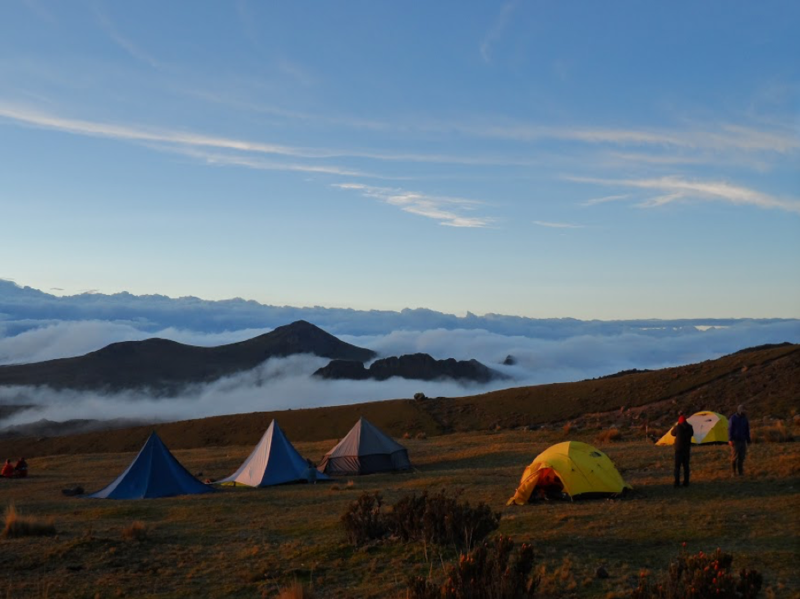 The natural environment in Ecuador allows students to use their progression of mountaineering skills to travel safely and efficiently in intense terrain. Preparation and progression with Nahual reminded us that at the core of any expedition is a strong community. We prepared for our expedition just as Semester students usually prepare for theirs. We assisted in the process of food preparation where we harvested plants, dehydrated snacks (jerky, fruit, energy bars) and cooked our own granola. Many Semester students also learn how to make pesto and cheese to bring into the field. In this process, Nahual educator Marcela notes that individuals gain a “connection with the source of their energy.” They will understand the history of their food because they helped to create that history. When traveling on the mountain and eating our snacks, we knew and felt the energy we were consuming. 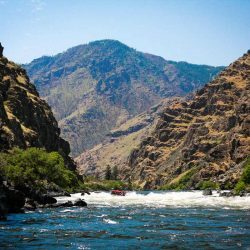 Instructor Nick Rushford noted, “We all have the ability at some level to author our way of life.” Nahual reminded us of this power and our ability to make choices that will impact our communities and the mountains. 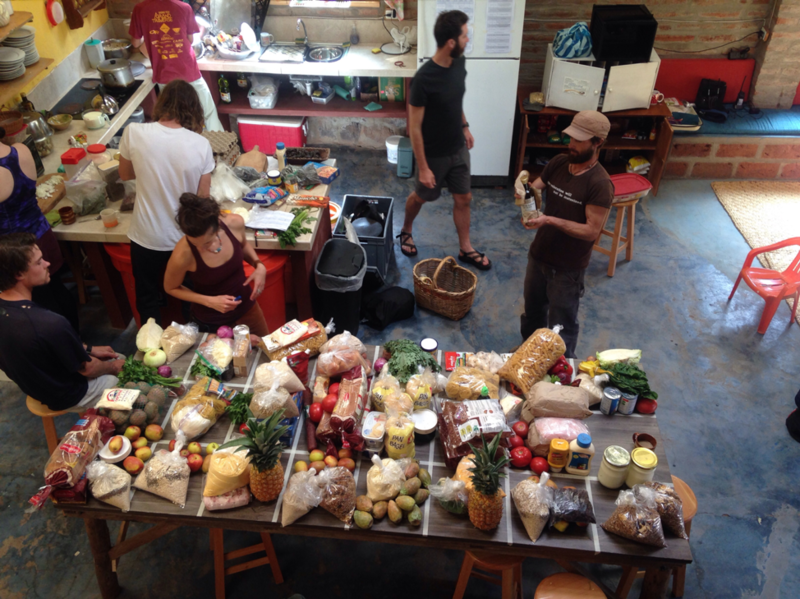 The crew is seen packing food at Nahual farm. Photo by Annie Holmes. I left Nahual’s farm with Marcela’s words in my head that reminded me to enter communities and mountains with the intention of “making a contribution to where it is that we pass through.” Whether that was planting a tree at a base camp, lending a listening ear to a new friend, or taking a moment to appreciate a mountain for allowing us to travel safely—we understood that these beliefs, contributions and connections would benefit not only us, but future communities as well. I joked with my fellow trainees that being on a glacier was like traveling through an adult playground. We tip-toed across snow bridges while looking down endless crevasses. We stared up at seracs (a block or column of glacial ice) sitting ominously above us. As we neared the summit of Antisana, we saw smoke billowing from a volcano in the distance and snow pillowing down a sub-summit to our right. When we trekked down into the cloud forest, we crawled through tunnels of trees and waded through crystal clear water. During many moments of our trip, I found myself breathing slowly as I attempted to take in the intense beauty of our surroundings. Photo shows base camp by Antisana. Photo by Rohan Roy. AJ thought about how life can also be hard and abrupt. Transitions in everyday life can feel similarly extreme and unimaginable. The heat from the sun can feel painful, or it can be a reminder that this extreme environment is magically shaped through rapid phases of heating and cooling. Taking a moment to remember the magnificent beauty of transitions can be incredibly impactful. We experience these same transitions when we return home from expeditions. The transitions on expeditions remind us to be appreciative and patient, whether we are adapting from cold to hot or from one job to another, for example. 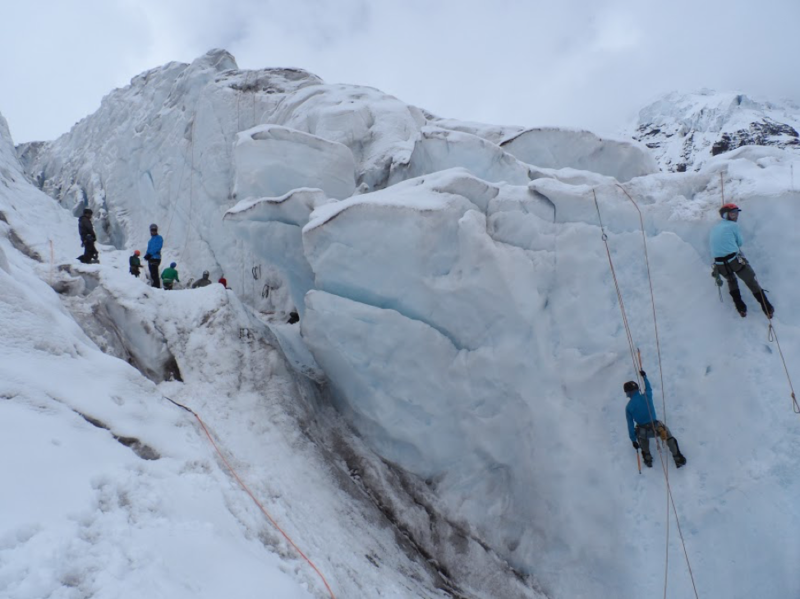 Photo shows the crew ice climbing and personal crevasse rescue practice on Antisana. Photo by Tyler Phillips. I was also reminded that we are all human and that being a student can be difficult. I definitely had an early morning where I didn’t layer properly and was incredibly cold. I had to adjust the next day with more layers earlier and toe warmers in my boots. We struggled, just like every Outward Bound course I’ve been on, with group pacing because we are all unique individuals with different bodies and comfort levels. We struggled to understand each other’s perspectives when the wind was whipping, or when we were being evaluated on our efficiency and understanding of crevasse rescue. At the end of the day, we returned to our basecamp where we shared food together in a circle. We watched the sun set and saw the stars together in the early hours of the morning. We talked with one another as we traveled through beautiful landscapes about our current life transitions, our appreciation of Ecuador’s landscape and sometimes even—when we were lucky—the llamas in the distance. We experienced our own Outward Bound course, with all of its struggles and thus all of its lessons. Photo shows a group travel day on Antisana; Cotopaxi is the center volcano in the distance. Photo by Tyler Phillips. Instructors are students, too. If they ever tell you that traveling with a group and living within a community every hour of every day is easy, don’t believe them. But, if they tell you it isn’t worth it, then they’re lying as well. I left this training reminding myself that I am not perfect and that I don’t have to be. I left thinking about this majestic land and the gratitude that I had for the mountains and people that shared it with me. I left thinking about what it means for me to keep growing, transitioning and learning. I’m still on my journey. 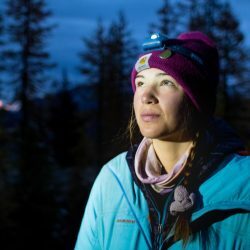 Annie Holmes is an Instructor at the Colorado Outward Bound School who enjoys eating chocolate after a long day in the backcountry, walking for extensive amounts of time carrying a heavy pack and going on adventures with dogs. She has a degree in Psychology from UNC-Chapel Hill and enjoys talking about how our brains work and why we decide to do what we do. She also likes climbing up rocks and then rappelling down them directly afterwards and confusing her family by randomly going to places without cell phone service.